Recently, I was honoured to attend the BAPS Awards 2018. 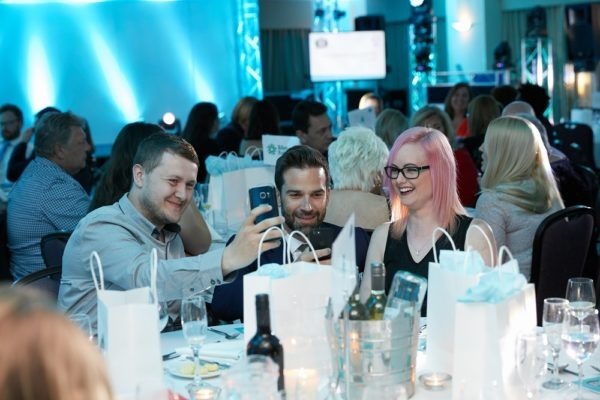 For those of you that don’t know, the BAPS Awards were set up to celebrate SEND bloggers, recognise their valuable contribution to raising awareness of additional needs, both within the SEND community and the wider society. I write a blog called Autism Kids On Tour – Autism Without Limits. I have two children; one has ASD and Sensory Processing Difficulties (SPD) and the other has PDA. I love to travel and show them the world and we don’t let autism limit us. I write reviews of days out, hotels, restaurants, activities and products. In these reviews I try to be detailed about my family’s experiences and I include any information that would be relevant if you were taking autistic children. I also try to write helpful autism specific posts, based both on my experiences with my own children and my professional experience caring for other children. I started doing this in order to help other parents of autistic children. Although it’s been a slow start to get my blog seen by the people I feel it could help, the aim has always been to give practical advice and to share my family’s experiences in order to help other parents with autistic children. I had initially been nominated in three categories of the BAPS Awards, and was a finalist in the Best Practical Advice for Families category. This was a category I thought I didn’t stand a chance of winning as I was up against bigger, more established bloggers and organisations. So, I was shocked when my blog was announced as the winner! Little old me, blogging for just over a year, actually might get to do what I dream of doing and make a difference through what I write! I am so very grateful for my award. Being a finalist and then going on to win this category means such a lot. The evening was a lovely one and I felt privileged to be there. From the beautifully decorated room and drinks reception, to the three course meal, goody bags and DJ, everything was amazing. 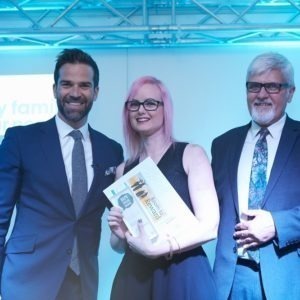 The awards ceremony was led by Gethin Jones. At one point I was confused as he came up and asked me for a selfie. ‘I’m sure that’s meant to be the other way round!’ I said. The funniest thing is I didn’t even get the picture as it was on his phone! There was, however, photographic evidence as the moment was snapped from across the room by the professional photographer. I personally think everyone in that room deserved to win and is already winning in an online battle for awareness, hope and change. I was humbled to be in a place with so many amazing people making a difference in their own way, each with their own lives and amazing, inspiring stories. I was also very aware that there are so many more amazing SEND parents fighting for their children and loving them every day, all over the world. It was a privilege for me to attend this event and to meet people in real life that I have read about and come to know a little online over the last year. Whether half term is over for you, or you’re in the midst of it, and we shiver through this seemingly never-ending winter naturally, thoughts turn to holidays in the sun.